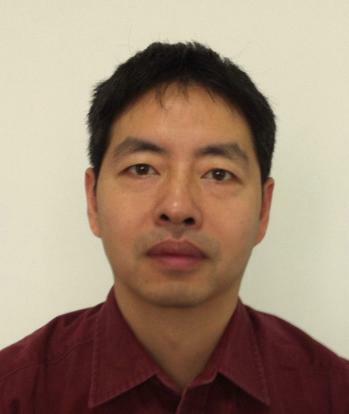 Prof. Li is recruiting PhD students each year from developing countries in Thermal Engineering area (currently focusing on two-phase flow heat transfer and thin film thermal interface materials). The interested young scholars should apply for the fellowship through: http://www.fellowship.cas.cn/dms. 1. 1998.9-2001.7, Ph.D. in Thermophysics , Institute of Engineering Thermophysics, Chinese Academy of Sciences - Beijing, China. 2. 1994.9-1997.7, M.S. in Power Engineering, Institute of Engineering Thermophysics, Chinese Academy of Sciences - Beijing, China. 3. 1988.9-1992.7, B.S. in Mechanical Engineering, Xi’an Jiaotong University – Xian, China. 1.2012.5-present, Professor, College of Physical Sciences, University of Chinese Academy of Sciences, China. 2.2008.3-2012.5, Associate Professor, College of Physical Sciences, Graduate University of Chinese Academy of Sciences, China. 3. 2005.7-2008.3, Research Assistant Professor, Department of Mechanical, Aerospace and Nuclear Engineering, Rensselaer Polytechnic Institute, Troy, NY, USA. 4. 2003.10-2005.7, Postdoctoral Research Associate, Department of Mechanical, Aerospace and Nuclear Engineering, Rensselaer Polytechnic Institute, Troy, NY, USA. 5. 2001.7-2003.2, Visiting Scholar, Department of Mechanical Engineering, Hong Kong University of Science & Technology – Hong Kong SAR, China. 6. 1997.10-2001.6, Research Assistant Professor, Laboratory of Heat Pipe and Phase Change Heat Transfer, Institute of Engineering Thermophysics, Chinese Academy of Sciences, Beijing, China. 1. Lucang Lv and Ji Li*, Managing high heat flux up to 500W/cm2 through an ultra-thin flat heat pipe with superhydrophilic wick, Applied Thermal Engineering, Volume 122, 25 July 2017, Pages 593–600. 2. Guohui Zhou, Ji Li*, Lucang Lv,and GP Peterson, Comparative study on thermal performance of ultra-thin miniature loop heat pipes with different internal wicks, ASME Journal of Heat Transfer, 2017 (accepted). 3. Lucang Lv and Ji Li*, Microscale superconductive thermal ground plane supported by superhydrophilic wick, International Communication in Heat and Mass Transfer, 2017(). 4. Lv, L., Li, J. *, and Zhou, G.， A robust pulsating heat pipe cooler for integrated high power LED chips, Heat and Mass Transfer (2017). doi:10.1007/s00231-017-2050-3. 5. Li, Z., Li, J. *, Li, X., Ni, M.-J ，Free surface flow and heat transfer characteristics of liquid metal Galinstan at low flow velocity，Experimental Thermal and Fluid Science，vol. 82, pp. 240- 248, 2017. 6. Lucang Lv and Ji Li*, Effect of charging ratio on thermal performance of a miniaturized two-phase super-heat-spreader, International Journal of Heat and Mass Transfer, Vol.104, pp.489-492, 2017. 7. Guohui Zhou, Ji Li*, Lucang Lv, An ultra-thin miniature loop heat pipe cooler for mobile electronics, Applied Thermal Engineering, Vol.109, pp. 514–523, 2016. 8. ZW Li, LC LV, and J Li*, Combination of thermal spreading and heat storage for high power portable electronics, International Journal of Heat and Mass Transfer, Vol. 98, pp.550-557, 2016 . 9. J Li*, WK Tian, and LC LV, A Thermosyphon Heat Pipe Cooler for High Power LEDs Cooling, Heat and Mass Transfer, Vol.52, pp1541-1548, 2016. 10. J Li* and LC Lv, Experimental Studies on a Novel Thin Flat Heat Pipe Heat Spreader, Applied Thermal Engineering, Vol.93, pp. 139-146, 2016. 11. GW Niu, and J Li*, A comparative study of pool boiling heat transfer with nano-fluids on porous surface, Heat and Mass Transfer, Vol.51, pp.1769-1777, 2015. 12. J Li*, and LC Lv, Performance Investigation of a Compact Loop Heat Pipe with Parallel Condensers, Experimental Thermal and Fluid Science, Vol.62, pp.40-51, 2015. 13. J Li*, F Lin and GW Niu, An insert-type two-phase closed loop thermosyphon for split-type solar water heaters, Applied Thermal Engineering, Vol.70, pp.441-450, 2014. 14. LC Lv, J Li*, Micro Flat Heat Pipes for Microelectronics Cooling: Review, Recent Patents on Mechanical Engineering, 6(3), pp169-184, 2013. 15. J Li*, A Compound Thermodynamic Model for Transient Bubble Growth in Microscale, International Journal of Heat and Mass Transfer, Vol.65, pp. 739-749 , 2013. 16. J Li*, F Lin, DM Wang, and WK Tian, A Loop-heat-pipe Heat Sink with Parallel Condensers for High-power Integrated LED Chips, Applied Thermal Engineering, Vol.56, pp.18-26, 2013. 17. Y Jiang, G Carbajal, CB Sobhan, and J Li*, 3D Heat Transfer Analysis of a Miniature Copper-water Vapor Chamber with Wicked Pillars Array, ISRN Mechanical Engineering, Paper ID194908, 2013. 18. J Li*, Zhongshan Shi, 3D numerical optimization of a heat sink base for electronics cooling, International Communications in Heat and Mass Transfer, Vol.39, No.2, pp.204-208, 2012. 19. J Li*, DM Wang, GP Peterson, A Compact Loop Heat Pipe With Flat Square Evaporator for High Power Chip Cooling, IEEE Transactions on Components, Packaging and Manufacturing Technology, Vol.1, No.4, pp.519-527, 2011. 20. Ji Li* and GP Peterson, 3D Numerical Simulation of Heat and Mass Transfer in a Square Flat Evaporator of a Loop Heat Pipe with Fully Saturated Wick, International Journal of Heat and Mass Transfer, Vol.54, pp.564-574, 2011. 21. Ji Li*, Daming Wang, G.P. Peterson, Experimental Studies on a High Performance Compact Loop Heat Pipe with a Square Flat Evaporator, Applied Thermal Engineering, Vol.30, pp.741- 752,2010. 22. PH Chen, SW Chang, KF Chiang and J Li, Patents Review for cooling of high power electronic components, Recent Patents on Engineering, Vol. 2, No.3, pp.174-188, 2008. 23. J Li*, G P Peterson and P Cheng, Bubble Dynamics from Boiling Incipience to Bubble Collapse on a Square Platinum Microheater under millisecond Pulsed Heating, International Journal of Heat and Mass Transfer, Vol.51, No. 1-2, pp. 273-282, 2008. 24. J Li*, G P Peterson, 3-Dimentional Numerical Optimization of Silicon-based High Performance Parallel-channel Micro Heat Sink with Liquid Flow, International Journal of Heat and Mass Transfer, Vol.50, No.15-16, pp. 2895-2904, 2007. 25. J Li*, G P Peterson, Suppression of Heterogeneous Bubble Nucleation by Upstream Subcooled Liquid Flow, Applied Physics Letters, Vol.88, 201910, 2006. 26. J Li*, G P Peterson, Geometric Optimization of an Integrated Micro Heat Sink with liquid Flow, IEEE Trans. Components and Packaging Technologies, Vol.29, No.1, pp.145-154, 2006. 27. J Li*, G P Peterson, Boiling Nucleation and Two-Phase Flow Patterns under Forced Liquid Convection in Microchannels, International Journal of Heat and Mass Transfer, Vol.48, No.23-24, pp.4797-4810, 2005. 28. J Li, G P Peterson, Microscale Heterogeneous Boiling on Smooth Surface-from Bubble Nucleation to Bubble Dynamics, International Journal of Heat and Mass Transfer, Vol.48, No.21-22, pp.4316-4332, 2005. 29. J Li, G P Peterson, and P Cheng, Mechanical Non-equilibrium Consideration of Homogeneous Bubble Nucleation for an Unsteady-state Boiling Process, International Journal of Heat and Mass Transfer, Vol.48, No.15, pp.3081-3096, 2005. 30. J Li, P Cheng, G P Peterson and J Z Xu, Rapid Transient Heat Conduction in Multi-layer material with Pulsed heating Boundary, Numerical Heat Transfer - A, Vol.47, No.7, pp633-652, 2005. 31. J Li, G P Peterson and P Cheng, Three-dimensional Analysis of Heat Transfer in a Micro Heat Sink with Single Phase Flow, International Journal of Heat and Mass Transfer, Vol.47 (19-20), pp.4215-4231, 2004. 32. J Li, P Cheng, Bubble Cavitation in a Microchannel, International Journal of Heat and Mass Transfer, Vol.47 (12-13), pp.2689-2698, 2004. 33. J H Zhou, D Y Liu, J Li, Performance of a Small Solid-liquid Phase-change Heat sink for electronical cooling, Journal of Thermal Science, Vol.10, No.3, pp.254-259, 2001. 34. J Li, Z F Zhang, D Y Liu, Experimental and Theoretical Study on the Rapid Transient Nucleated Boiling Heat Transfer, Progress in Natural Science, Vol.11, No.7, pp.529-535, 2001. 35. J Li, Z F Zhang, D Y Liu, Difference Scheme for Hyperbolic Heat Conduction Equation with Pulsed Heating Boundary, Journal of Thermal Science, Vol.9, No.2, pp.152-157, 2000. 36. J Li, Z F Zhang, Transient Temperature of Liquid on Micro Metal Layer Heated by Pulsed Laser, Journal of Thermal Science, Vol.18, No.2, pp.125-130, 1999. China Invention Patent: A nano-rod wick vapor chamber. 1. Guohui Zhou, Ji Li*, Lucang Lv，Experimental study on heat transfer capability of a miniature loop heat pipe, Proceedings of the ASME 2016 International Mechanical Engineering Congress and Exposition, IMECE2016-66566, Phoenix, Arizona, USA, November 11-17, 2016. 2. ZW Li, LC Lv, and J Li, Combination of thermal storage and heat spreading for high power portable electronics cooling, Joint 18th IHPC and 12th IHPS, Jeju, Korea, June 12-16, 2016. 3. LC Lv, J Li, and GH Zhou, An Unique Pulsating Heat Pipe Cooler for Intergrated High Power LEDs, Joint 18th IHPC and 12th IHPS, Jeju, Korea, June 12-16, 2016. 7. Ji Li, Feng Lin, Gengwen Niu, Fan Li， Visualization Study of An Unique Two-phase Closed Loop Thermosyphon for Split-type Solar Water Heaters，Global Warming Conference (GCGW-2014), Beijing, China, 2014. 8. J Li, and LC Lv, Influence of Condenser Configurations on Thermal Performance of a Loop Heat Pipe, International Heat Transfer Symposium 2014, HTS140012, Beijing, China, 2014. 9. GW Niu, J Li, Visualization study of pool boiling on copper porous coated and polished surfaces for deionized water and Al2O3-water nano-fluid, ASME 2013 International Mechanical Engineering Congress & Exposition , Paper # IMECE2013-62346, San Diego, USA, 2013. 17. Ji LI, Daming Wang, G.P. Peterson, Development of a Robust Miniature Loop Heat Pipe for High Power Chip Cooling, Paper No. MNHMT2009-18011, ASME 2009 2nd Micro/Nanoscale Heat & Mass Transfer International Conference, Shanghai, China, 2009. 18. Ji LI, G.P. Peterson, Chen LI, Guoguang SU, A Stabilized Boiling/Evaporation Two-Phase Flow in Microchannels, Paper No. MNHMT2009-18012, ASME 2009 2nd Micro/Nanoscale Heat & Mass Transfer International Conference, Shanghai, China, 2009. 19. Li, C, G.P. Peterson, and J. Li, Visualization of boiling and evaporation of water on micro porous media, Paper No. HT2008-56352, ASME summer heat transfer conference, Jacksonville, Florida, 2008 . 20. X.Huang, X.Huai, S.Liang, X.Wang and J.Li, Molecular Dynamics Simulation of Thermal Conductivity in Nanocomposites, Paper No. IMECE2008-66856, 2008 ASME International Mechanical Engineering Congress & Exposition, Boston, USA, 2008. 21. Y P Chen, J Li and G P Peterson, Influence of Hydraulic diameter on flow condensation insilicon microchannels, 13th International Heat Transfer Conference, Sydney, Australia, Augusr, 2006 . 22. J Li, G P Peterson, Bubble Dynamics from Boiling Incipience to Bubble Collapse under pulsed heating on a Microheater, 9th Joint AIAA/ASME Thermophysics and Heat Transfer Conference, San Francisco, California, 2006. 23. J H Zhou, D Y Liu, J Li, a Small Solid-liquid Phase-change Heat sink for electronical cooling, International Symposium for Millennium Thermal Science, Xi’an, October, 2000. 24. J Li, Z F Zhang, D Y Liu, Hyperbolic Heat Conduction with Pulsed Heating Boundary in multi-layer materials, International symposium for Millennium Thermal Science, Xi’an, October, 2000. 25. J Li, Z F Zhang, D Y Liu, Bubble Dynamics of Boiling Explosion in Pure Liquid Induced by Pulsed Heating, Heat Transfer and Transport Phenomena in Microscale System, Degell House Inc., New York, 2000: 209-216 . 26. J Li, Z F Zhang, D Y Liu, Rapid Transient Nucleate Boiling on a Metal Film Heated by Pulsed Laser, Heat Transfer Science and Technology 2000, Higher Education Press, Beijing, 2000: 427-432.